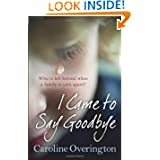 Caroline Overington is an Australian author who has worked as a journalist on a daily newspaper covering child murder and neglect cases for over seven years.
" It was a crime that shocked the world. The CCTV footage shows a young woman pushing through the hospital doors. She walks into the nursery, picks up a baby and places her carefully in a shopping bag. " This is the story of what led up to that moment. Fat Atley is a young woman with lots of problems. A mother who left her when she was a baby, a below average intelligence, an unstructured family life and a dead-beat boyfriend who may or may not have shaken their baby, almost to death. Then, when the State are called in, things just go from bad to worse. You would think that Government officials, worldwide, would be equipped to deal with the most difficult cases of child abuse and of guiding and helping the parents with the aim of reuniting these families. From reading this, you will learn that it not always the case. Paperwork, inadequate facilities and overworked social workers and case workers can be the cause of many of the "fell through the crack" cases we read about in newspapers or see on television. In this novel, we see the whole situation play out from all sides of the family but not from the side of the government officials. This may seem a bit biased but from experience ( I am a foster carer), I can tell you that you rarely get all the information from officials and they will stick to their State guidelines even if it makes no sense in some cases. Further into the book, the reader is left dumbfounded by some of the actions of officials, as they try to remove a child from the hospital while it is only minutes old. This is the beginning of yet another slippery slope to disaster and one that is caused by overzealous social workers who are clearly not allowed any kind of scope for individual cases to be treated as such. Although the style of writing is a bit rough, as written in letter form , from the family members involved, and perhaps there is a little too much emphases on Fat Atley's Father, it is essential to know how this poor girl became the woman she became. Had the system not let her so badly down earlier, the tragedies may never have happened. Unfortunately, this is the way of the world we live in. 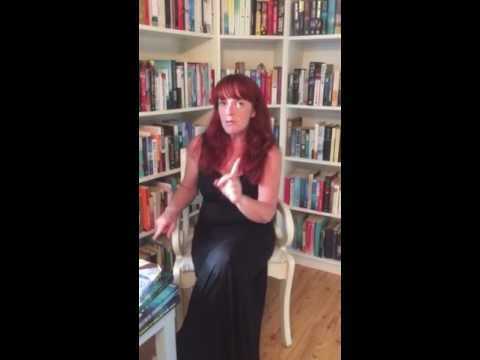 book about abused children, their horrible parents and how the children are so much better in care. This novel is so much more than that. It is a study of one family, how they tried to cope without a mother around, and how the system let them down, in more ways than one. I really look forward to reading more of Caroline Overington's work and hope people don't always judge a book by it's cover.